Navigating the legal process in a divorce can be overwhelming. In Indiana, divorces are referred to as dissolution of marriage actions and require you to pay strict attention to many applicable laws and procedural rules. Although you are not required to hire an attorney, court officers are not allowed to provide you with legal advice. Knowing the basics of filing and how each stage of the dissolution process operates may help ensure that you are fully prepared if you decide to represent yourself in Indiana. The first step in getting a divorce in Indiana is to determine whether you are eligible for divorce in the state. This is referred to as the residency requirement and it is met if either you or your spouse have lived in the state for at least six months prior to filing for divorce. If you are eligible to file in Indiana, the next step is to determine the grounds for divorce. This simply refers to the reason why you wish to end the marriage and can be based on the fault of your spouse or under the no-fault ground that your marriage has suffered an irretrievable breakdown. The state allows divorce based on fault grounds if your spouse committed a felony, has been incurably insane for at least two years or was impotent at the time of marriage. Once you have determined the appropriate divorce grounds, you may then obtain a Petition for Dissolution from the court clerk. The petition initiates the divorce and contains any specific requests you have regarding how property, spousal support and child custody matters should be decided. The document must also include information about your children and financial matters, and indicate that you are proceeding without an attorney. Once complete, the petition may be filed with the Circuit Court in the county where either you or your spouse has resided for the previous three months. After the petition has been filed, the court clerk will "serve" your spouse with the divorce paperwork. Service means that she is furnished a copy of the petition by certified mail or hand delivery. Unlike some states, your spouse may, but is not required to, file a written response to your petition. No divorce will be granted in Indiana until at least 60 days have passed since the date you file. If you and your spouse are in total agreement, you may submit a written settlement and the court will typically grant the divorce without a hearing after the waiting period. If you and your spouse disagree, the court may hold preliminary hearings to temporarily resolve property and child-related issues while the divorce is pending. As the case progresses, you will have an opportunity to exchange information with your spouse and the matter will head to trial. At trial, you and your spouse may present witnesses and other evidence to support your claims. The court will then issue a ruling settling the divorce matters and declare you divorced. Either spouse may legally file for divorce in the state of Ohio. If your divorce is uncontested or no-fault, you can likely do it yourself without the assistance of an attorney. If your spouse contests the divorce or you anticipate a complex process, you should consider consulting a family attorney for advice. Ohio law allows you to end a marriage in one of two ways, either by divorce or dissolution of marriage. The dissolution of marriage procedure is cheaper and less bureaucratic, but requires each spouse to agree on all essential issues. What Is the Difference Between a Default Divorce & No Fault in Arizona? Arizona’s no-fault divorce laws make it easier to obtain a divorce than in other states where you must prove wrongful conduct on the part of your spouse. Even though Arizona is a no-fault divorce state, your spouse has the right to challenge your request to end the marriage by filing opposing papers with the court. 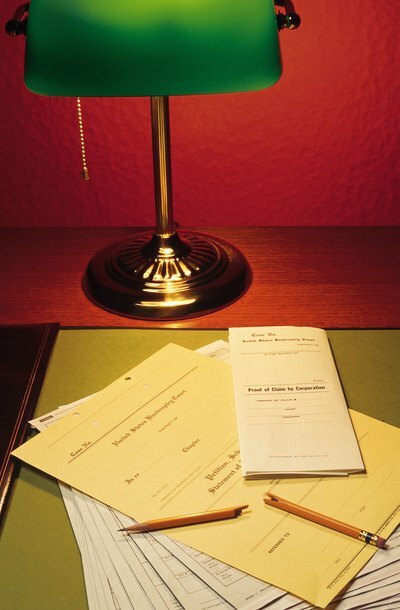 If your spouse does not file the papers in time, the court may grant you a divorce by default.